Shah Alam seems to be a city of convention centres. The TSR Conference Hall joins the list of large and modern convention centres in Shah Alam. While the building was not purpose built as a convention centre, but the detail and thought that went into equipping and decorating the TSR Conference Hall shows a great attention to detail was spent here. 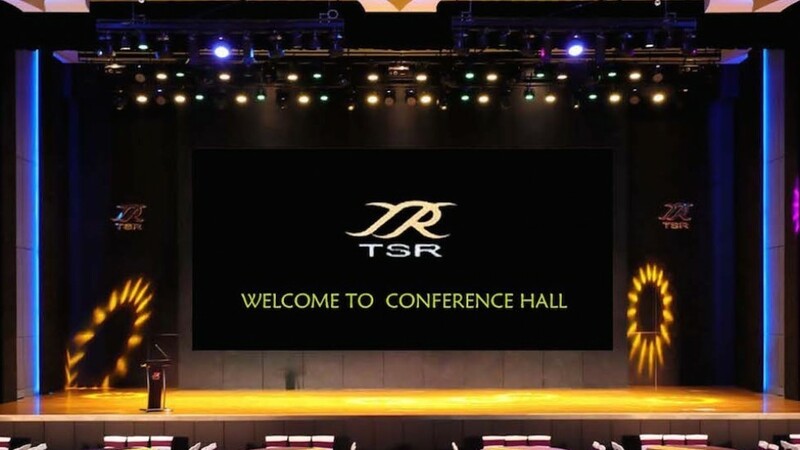 The D’Royale Hall at TSR Conference Hall is suitable for a conference, convention, wedding venue, wedding banquet, awards night, gala dinner, annual dinner, annual general meeting, or even a concert. TSR Conference Hall is located on the 16th & 17th floor of IRDKL Mall at Seksyen 16 Shah Alam. It is best accessed via the Federal Highway through the Padang Jawa exit. From the exit, it is just about a 600 metre drive to the conference hall. There is ample parking here as the building has 6 levels of parking available.